Vocabulary for illnesses and ailments that is a big of help for beginners and even the intermediate. The present downloadable teaching material is best suited for high school students, elementary school students, kindergartners and nursery school students and adults at Beginner (pre-A1), Elementary (A1), Pre-intermediate (A2) and Intermediate (B1) level. It is valuable for practising Adjectives in English, and can be used for improving your groups' Spelling, Speaking, Reading and Writing skills. 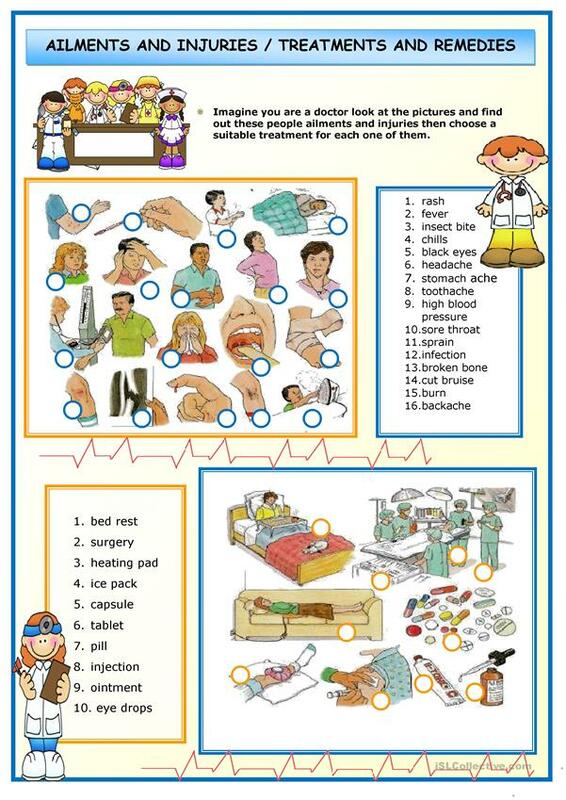 It features the vocabulary topic of Health, going to the doctor. The key is provided, too.